Here’s another small success, from an email sent by TCRA to Access Toronto. 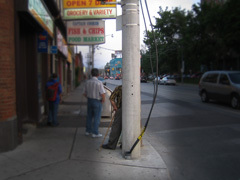 For at least 2 months, a thick cable (part of Roger’s cable network) has been exposed at the corner of Shuter + Parliament, subjecting pedestrians and cyclists to a potential “tripping” hazard. 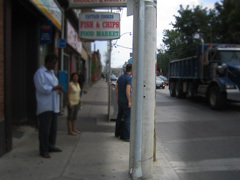 Perhaps not a serious risk, but gives a “poorly maintained, run-down” look to our neighbourhood’s public infrastructure. Rogers was called July 11 to alert them to this problem, but nothing happened. But within 1 week of TCRA reporting this to city staff at Access Toronto on Aug 14, the cable was once again properly secured with conduit. Thanks, guys! Our experience is that the city inspectors may not identify and fix all such problems on their own, but when these problems are specifically reported by residents, the city promptly fixes them. So take pride in the appearance of Trefann Court; if you see something in our neighbourhood needing fixing, please call or email Access Toronto.